“Juvenile & Up” sessions are restricted to skaters who have passed the US Figure Skating Juvenile Freestyle test (or its equivalent). Please be sure to check this website regularly for any changes or exceptions. Most figure skaters get their start by taking group lessons in the Skating School and practicing on the public skating sessions. Eventually, as they get more serious about the sport and decide to participate in competitions and shows, they progress to private instruction with a figure skating coach and practice on freestyle sessions. These sessions are designed specifically for figure skating training, with a limited number of skaters on the ice. This is the perfect opportunity to work on skating technique and choreography for a skating program. Rinkside controls are available for playback of program music. Staff coaches are available for private lessons during the freestyle sessions. All instructors are independent contractors who use the East West Ice Palace facility. They set their own schedules and fees. East West Ice Palace will forward your lesson requests, but any arrangements you make will be between you and the individual coach. Guest coaches are welcome to teach on our sessions for a daily fee, subject to the limitations specified in our Guest Coaches Policy. All Summer Program skaters must fill out a Registration form (once for the entire summer). Fill out a Reservation Request form to select the sessions and classes you wish to reserve. You may add reservations as the summer progresses by submitting additional copies of this form. Freestyle sessions will be filled on a first-come, first-served basis up to a maximum of 20 skaters per session. Reservations are particularly important when you have a lesson scheduled, since you don’t want to miss out if the session fills up. Reserved sessions must be pre-paid and will only be held if your account is up to date. Available credits may be used for future reservations or for drop-ons. All skaters must check in at the front desk. Reservations are held to 5 minutes before the start of a session. At that point, skaters are called from the waiting list, if any. If the session is full, a skater with a reservation who arrives late will lose his or her place and forfeit the credit. East West Ice Palace has teamed up with the Los Angeles Figure Skating Club (LAFSC). 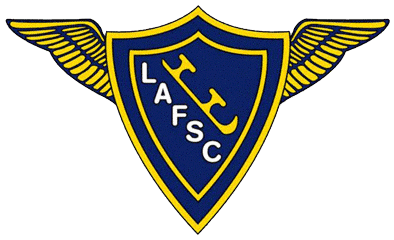 The club has a long and distinguished history — one of largest clubs in Southern California, and one of the most influential in the United States as a whole. LAFSC has designated our rink as a satellite facility, and holds test sessions here about once per month, plus two annual competitions.